I have said it before and I will say it again: Valentine's Day is definitely my favorite holiday! 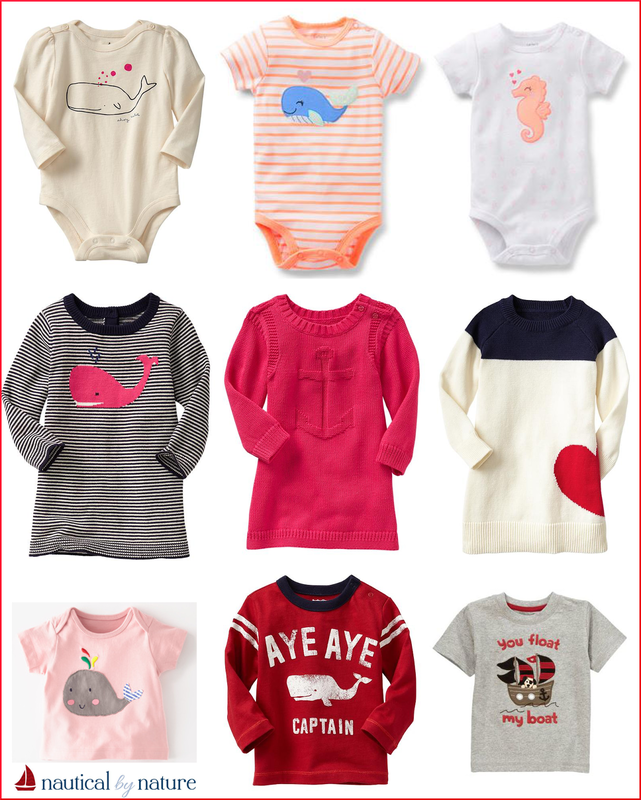 I especially love all of the cute outfit possibilities. I will be honest and say that I encourage H to wear his red shirts and pants as often as I can before the big day. He even has a shirt that says "I dig you" with an excavator/backhoe picking up and dumping hearts (Etsy has EVERYTHING!). This year I got him dinosaur Valentine pajamas from Carter's . My local store only had 3T (which barely fit) but they appear to be sold out online in bigger sizes. I am going to keep looking because the 3T won't be lasting long! I wore a uniform from kindergarten through high school so you had to get creative incorporating pink, red, and hearts (I always wore fun socks, themed hair accessories, etc). 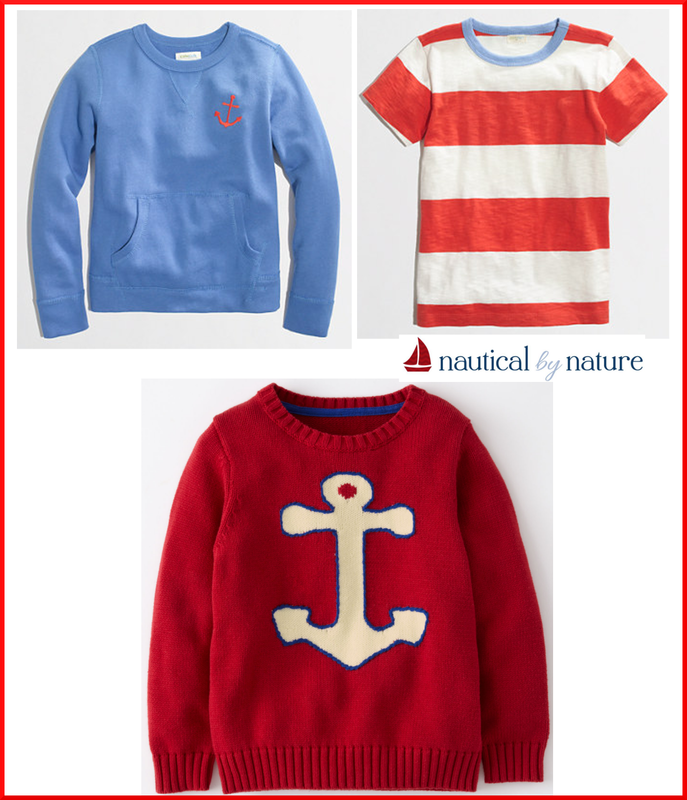 This year I am seeing a LOT of nautical outfits that work for Valentine's day! So many cute options, great roundup! I love the J.Crew floral anchor with stripes. 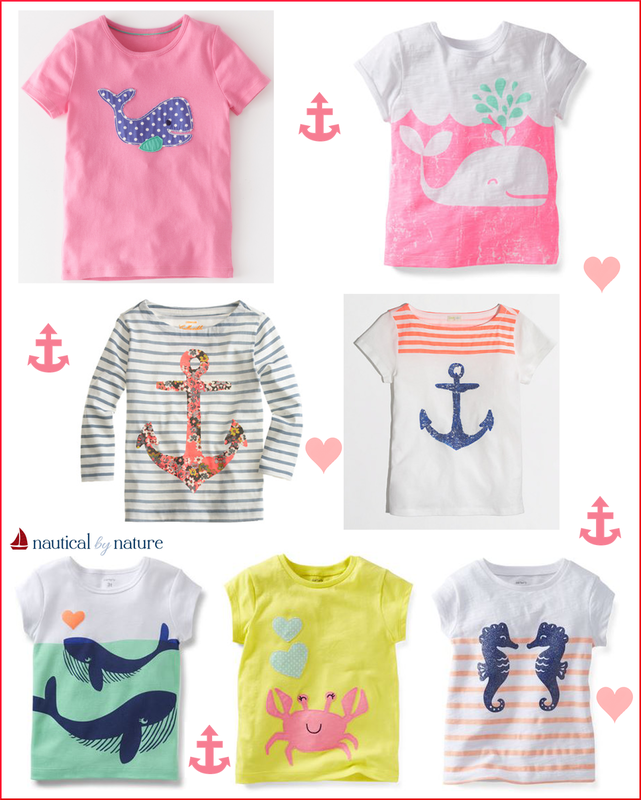 I liked that one too because of the floral anchor-it's perfect for spring! Such a good round up! Still looking for some V-day gear for my little guy- so thanks!